Harmonix Blog: DLC Week of 8/23: AJR ft. Rivers Cuomo and lovelytheband! DLC Week of 8/23: AJR ft. Rivers Cuomo and lovelytheband! Get a little alternative with new DLC from AJR ft. Rivers Cuomo and lovelytheband! “Sober Up” comes to us from AJR ft. Rivers Cuomo off the band’s second album The Click. This is the first AJR song in Rock Band, though Rivers Cuomo is no stranger as frontman for Weezer. 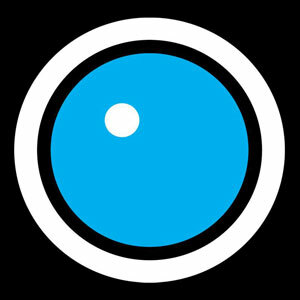 “Sober Up” topped the Billboard Alternative Charts, being a first for AJR AND a first for Rivers Cuomo as a solo artist. This strong performance has already gotten the song gold-certified in just a few short months. It’s a fun song for Rock Band as well, with bass showing off, mixing in some cello during the gaps to keep things going. Guitar’s got a stamina test, with some tremolo strumming in the third verse. And of course, singers get the bridge with Rivers Cuomo on duty. New releases, merch, tour dates, and more await when you head to http://ajrbrothers.com/ . While you’re there, be sure to catch the video for “Sober Up” and hear the latest AJR single, “Burn the House Down”! lovelytheband’s “Broken” also joins Rock Band this week. You may recognize Mitchy Collins from another Rock Band artist, Oh Honey, and now he’s back with more catchy indie rock. “Broken” has torn up the charts since being released, and this summer it topped both the Billboard Alternative Songs AND Rock Airplay charts. Hot off the heels of their “Broken” success, lovelytheband recently released their debut album, finding it hard to smile, to widespread acclaim. When playing the Rock Band guitar chart, you’ll find a mix of the lead melody and chords when the vocals come down. Drums shine during the bridge where a disco-flipped chart cranks the difficulty up. For the first two weeks of release, songs can be purchased individually for $1.49. Following that two week period, songs can be purchased individually for $1.99. 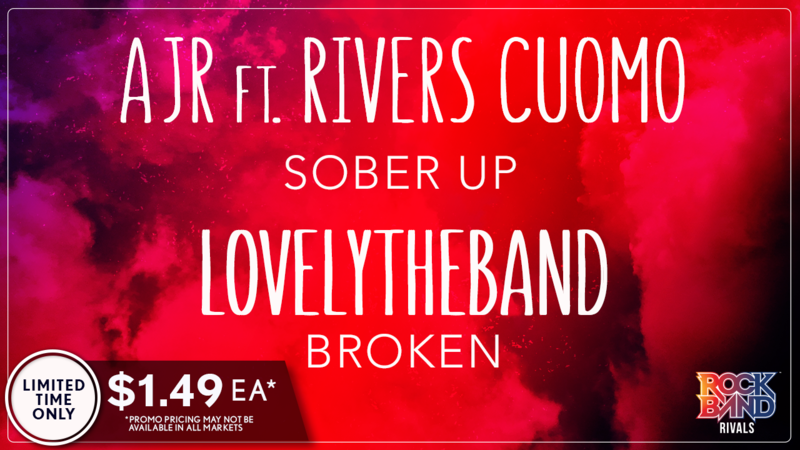 AJR ft. Rivers Cuomo - "Sober Up"
VIDEO: Rock Band 4 DLC Week of 8/23: AJR ft. Rivers Cuomo and lovelytheband! * Please note that this week’s DLC tracks will be available for purchase on Thursday, August 23rd.